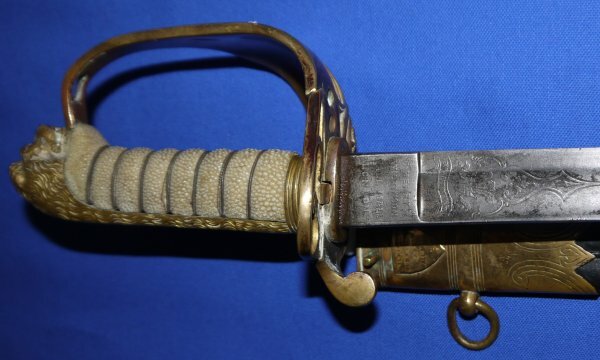 The Victorian British Royal Navy officer's (Wilkinson) sword of Commander Thomas Bowden Triggs, in good condition. Wilkinson serial number 22208 for 1878, etched "T B T" to the blade, the Wilkinson sales ledger confirms this is the sword of Thomas Bowden Triggs; born 19th May 1853, Cadet 23 January 1867, Midshipman 15th April 1868, Sub-Lieutenant 14th April 1873, Lieutenant 13th October 1876, Commander 30th June 1891. This sword was bought apparently for his appointment on HMS Revenge in 1878. He also served on HMS Britannia, Prince Consort, Asia, Active, Comus, Serapis and Humber. He was married to Annie Louisa Thomas in 1879 (so would have worn this very sword to his wedding) and had 6 children with her; regrettably, two of his sons (Thomas Kenneth Triggs and Guy Triggs) were killed fighting for Canada in WW1. Commander Thomas Bowden Triggs died at his home in Foster Road, Gosport, Hampshire on the 23rd January 1921. Our special thanks to Heidi Waugh for her incredible research. The 31 1/2 inch blade is well etched, still clear, though with age (patina here and there). 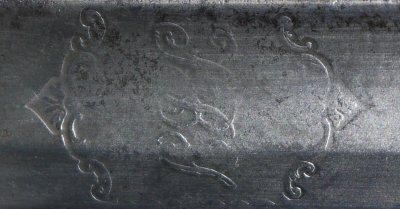 Blade etched with "T B T", the Wilkinson name and logo, British Royal Coat of Arms and obligatory fouled anchor. 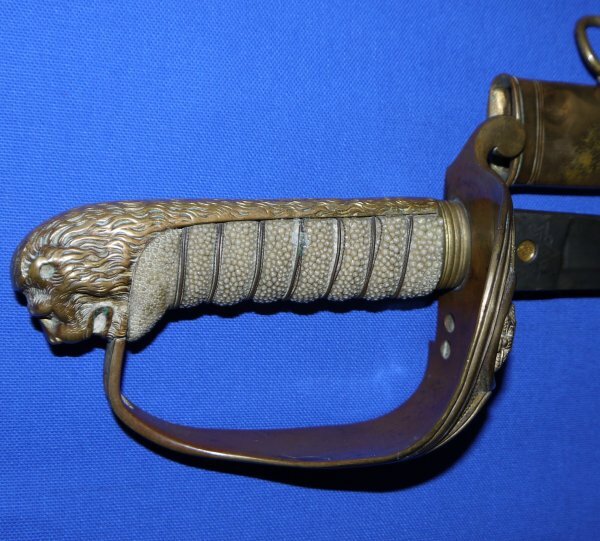 The blade is still firm in the hilt, the brass hilt retains some gilt; the folding guard section works well and located properly onto the retaining pin of the top locket of the scabbard. The fishskin grip is in good order, a little grubby but not too much so, the twisted grip wire bindings have some minor age defects as you should expect. 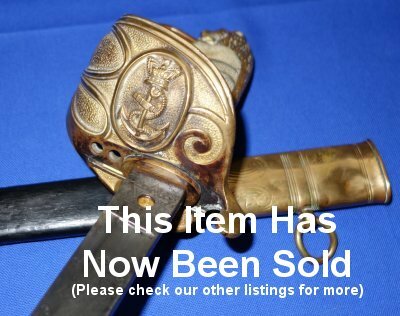 The leather and gilt metal scabbard is aged but above average. The sword sheathes and draws well. A great sword with the provenance serious collectors crave for. Please quote item reference K34 (1169). Further / full sized images available upon request.